1. It takes time and effort—then more time and effort. Have realistic expectations about the time it will take to publish your book. Illustrations—let me rephrase this—good illustrations, take a lot of time. Finding and working with a good illustrator to completion is a process. Start early. 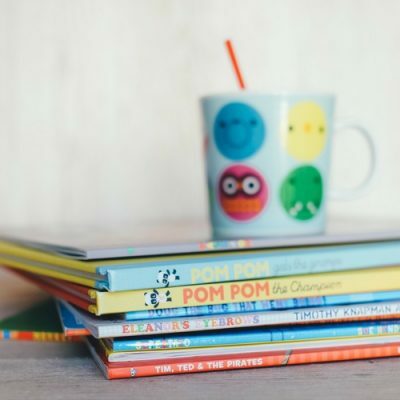 Engaging other services, like editing (yes, this is important regardless of it being ‘just a children’s book’), interior and cover layout (or ebook creation) and printing can take a long time too. Consider your printing needs carefully as it can mean the difference between four weeks or four months, depending on the printing option chosen. 2. You need an exceptional illustrator—with experience. A children’s book’s success depends a lot on the quality of its illustrations. Without illustrations, your book isn’t complete. So, if you’re not an illustrator you’ll need to hire one before you get to the publishing stage. Choose someone whose work excites you, and get a written contract in place. There are two options for contracts: one provides you with ownership and the other is where the illustrator retains ownership—not knowing the difference will cost you. A contract will spell out exactly what each of you is responsible for; what work will be completed in the process; how much it will cost including revisions, and what happens if one of you terminates the agreement. Children’s book illustrator fees vary considerably and authors need to be mindful of this. Budget for around $150 per illustration, but more complex or advanced work can cost over $195 per illustration. Professional and simple illustrations are better for book sales than cheap and unprofessional ones. 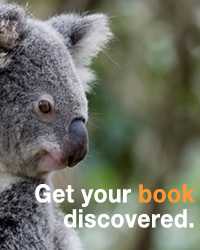 Visit the Australian Society of Authors (ASA) website to see their suggested rates. 3. Your book’s purpose will dictate your printing and distribution choices. Many children’s authors end up with thousands of books in their garage with no knowledge of how to move them. Many authors say, ‘my printer said the minimum is 500 to 1000 books.’ But this doesn’t need to be the case. With print on demand (POD), you can now print small numbers cost-effectively. Choosing between POD or offset printing requires some thoughtful consideration. There are differences between the two in quality, quantity, and printing costs. Offset printing is not digital printing. It is more traditional and offers higher quality ink for both colour and black-and-white interiors. A wider range of trim book specifications and paper weights are available, as are printing methods such as spot finishes, pop-ups, and fold-out pages. Offset printing costs more to set up, so this is not for the faint-hearted. You will need to print in large quantities (500 books or more) with offset printing. Essentially, your publishing purpose will influence your choice of printing and distribution. Do you want to try a low-risk, low-cost, library quality output print run? If so, then print on demand is a viable option. Do you want to create something for personal use such as providing to family and friends? If so, then print on demand is a viable option. Do you have a readership established that you can direct to your website? If so, then print on demand is a viable option. Do you need distribution to online retailers? If so, then print on demand is a viable option. Do you need the distribution options for physical retailers (bookstores)? If so, you’ll need a physical distributor plus offset printing in bulk (minimum 500-1000 books). Although, IngramSpark (POD provider) is set to launch iPage in Australia which could make the supply chain easier for POD books. Do you need to print in colour? If the interior of your book has colour images, even just one, the whole book will be printed in colour for print on demand. Whereas with offset printing you can receive a colour insert—printing just a few pages in colour and have them inserted as a block in the book. The reason you would do this is to reduce your print costs, as interior colour increases the cost of your project. Should you just publish an ebook version? The cost for set up and illustrations for an ebook is very similar to creating a print book, even if there is no cost to print. That said, children’s ebooks usually retail at around $2.99 to $3.99 so it will take some time to recoup your investment if this is your only publishing format. 4. A marketing conundrum–you can’t market children’s books to children. Most books are marketed and promote to the end user, or what is also known as the ‘target audience’. In the children’s book market, children (the end users) are not the ones buying books so, you market to the people who are buying books for children. Essentially this means the adults in their lives. That means your job is doubly difficult: you must write and publish a book that children will love, and that their parents and relatives will want to buy. Your book must appeal to both audiences and, in some way, set itself apart from other children’s books. Julie-Ann Harper has 25 years of experience in publishing, business training, self-publishing workshops and presentations; she is a passionate advocate towards true self-publishing and helping authors to view publishing as a business. Pick-a-WooWoo Publishing is the only Australian company listed under IngramSpark’s Resource Experts page as an ‘IngramSpark Self-Publishing Friend’.